Apparently there are people in this world who hate Christmas, why? I’m not sure. Maybe they have coal where their heart is? Maybe they were naughty and Santa didn’t bring them what they wanted? 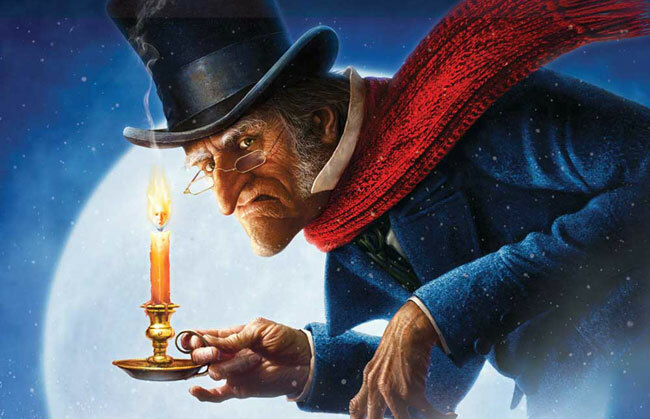 Regardless of the reason though there are plenty of Scrooges out there who’d rather eat broken glass than share a glass of sherry on Christmas day and wish goodwill to all men. Thankfully the good people over at Prezzybox have got these people covered for when they want to countdown to their least favourite day of the year. They’ve made the perfect Advent Calendar for those who hate the festive season, full of Pechkek’s Misfortune Cookies which are ‘guaranteed to spread festive gloom’. 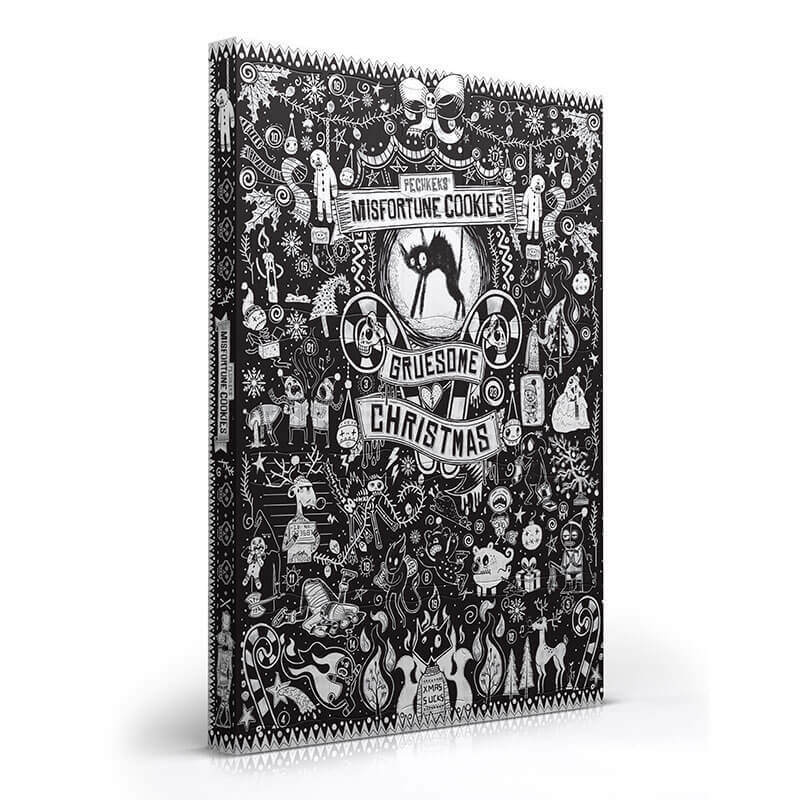 Their ‘Gruesome Christmas Anti-Advent Calendar’ is the perfect tonic for the Scrooge in your life, featuring monochromatic creepy art and is full of inappropriate jokes designed to make the yuletide into the crueltide. We all remember how the Grinch stole christmas, now you can as well! 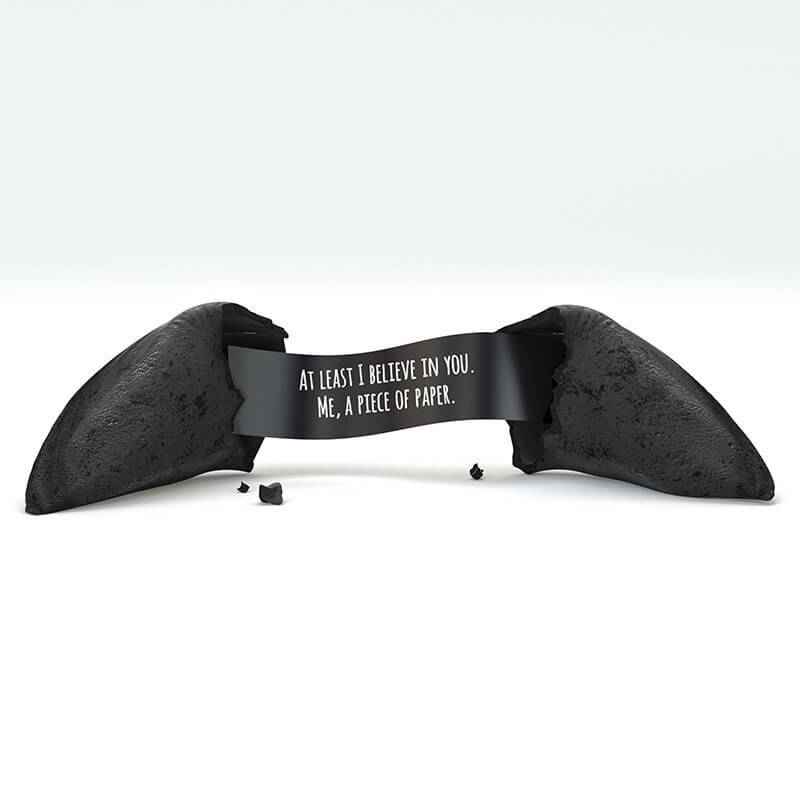 Have a wonderfully macabre Christmas with this anti-advent calendar, filled to the brim with misfortune and dismay. The calendar which is vegan friendly, is priced at £27.99, and will be on sale from October 16. 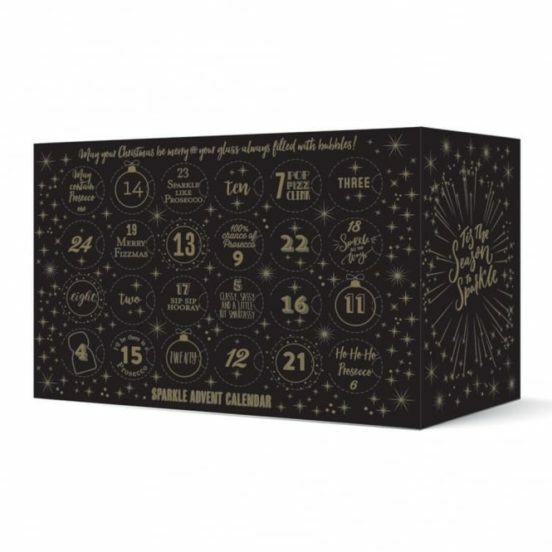 The ‘Gruesome Christmas Anti-Advent Calendar’ isn’t the only weird calendar out right now, ASDA are releasing their own cheese advent calendar for those of you who love Christmas but hae the cheap crappy chocolate they normally come with. Apparently the calendar will feature 24 individually wrapped cheeses in five different varieties including; Applewood, Mexicana, and Jarlsberg. Cheese. I love it. I’d go as far as saying I love it more than chocolate. 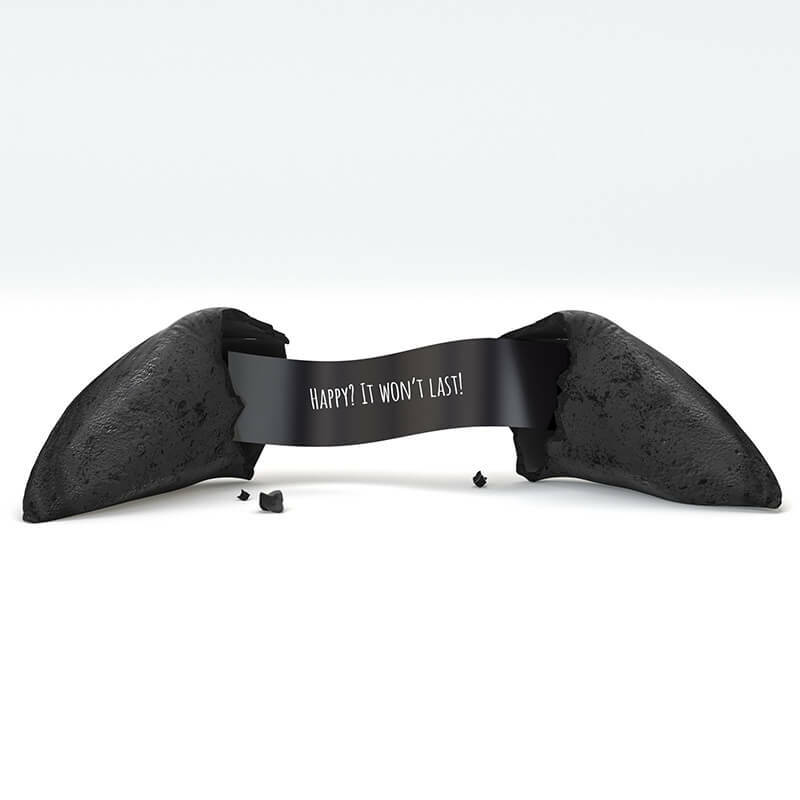 After searching high and lo and discovering there shockingly wasn’t already one on the market, I launched a campaign after creating one handmade prototype last Christmas. The response was overwhelming with over 11,000 of you cheese lovers signing up to get one in 2017. After a busy year of figuring out packaging, wrapping my head around contracts, retailers, trademarks and more, I’m thrilled to announce that they will be on sale in Asda stores nationwide! If a cheese calendar isn’t middle class enough for you though why not treat yourself to a gin or Prossecco one, both of which feature 24 different boozes behind each door! Then again maybe not? You may get a bit squiffy quaffing booze every morning in the run up to Christmas!